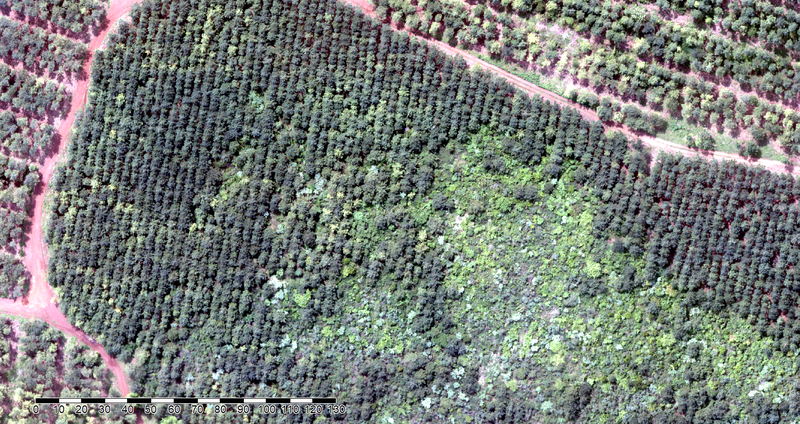 The Platform for Aerial Vegetation and Disease Mapping in Forestry, Agriculture and Infrastructure. 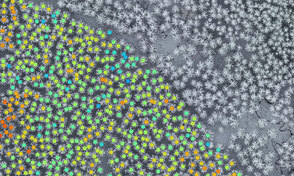 SKYLAB applies its intelligent algorithms to high quality aerial data and calculates timber stock and biomass inventories, detects plant stress, classifies vegetation and defines risk zones - in forestry, agriculture and for linear infrastructure such as power lines, gas pipelines or rail tracks. Send us your aerial data from drones, planes or satellites. Or ask us to help you find a drone service provider in your area. #barkbeetle is a forest pest causing billions of Euro in damage every year and there is no other way to fight it than finding the trees in time and removing them. SKYLAB has invested some heavy R&D into finding infected trees quickly - with some success! 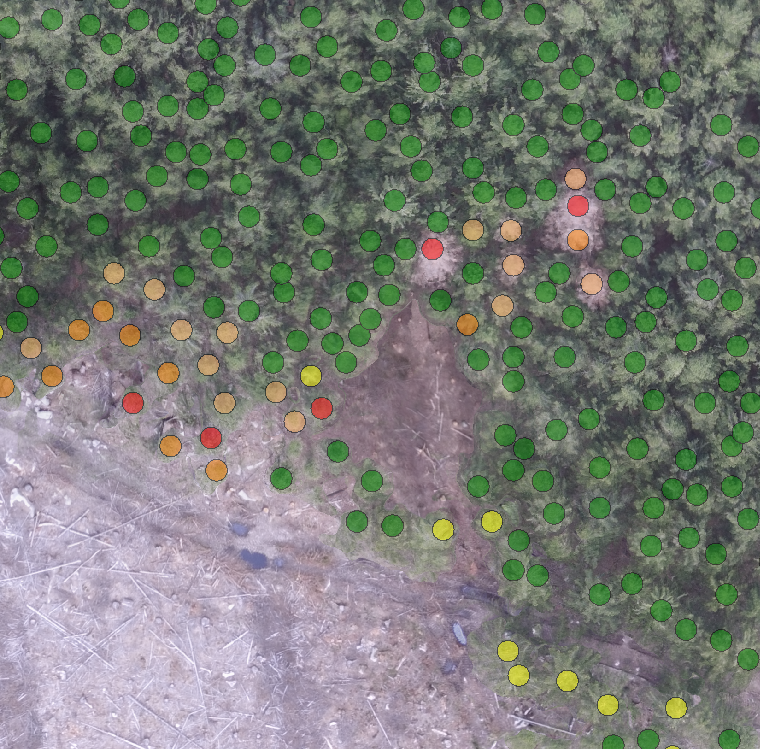 Here is a comparison of terrestrial search with a drone based survey - showing hotspots identified and even a number of individual trees matching in the closed stands. 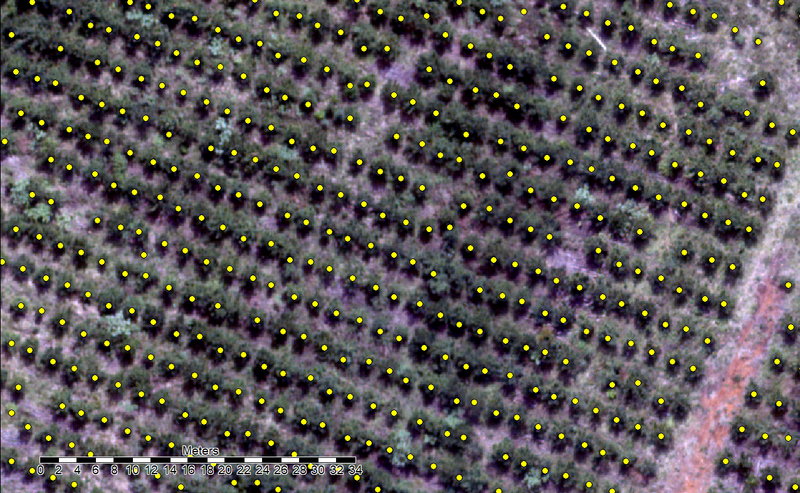 In addition we analysed satellite images (from World View 4) to check what is visible in those at the end of the season. 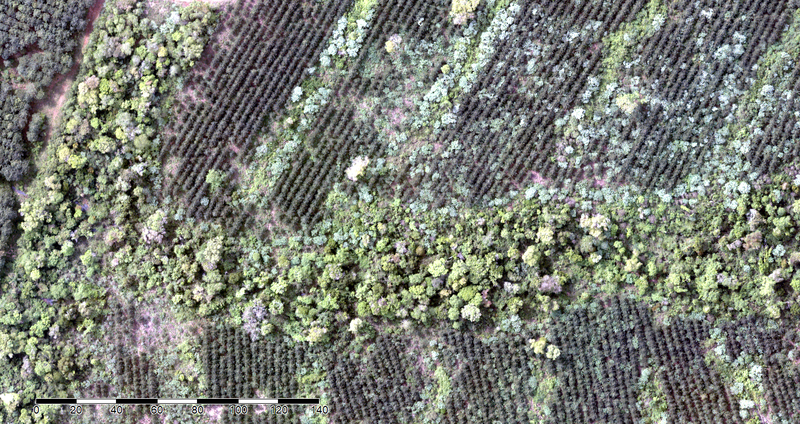 In mid August all those early diseased trees showed up as significantly damaged in the satellite images. This is a great tool for tidying up after the bark beetle has done its dreadful work. 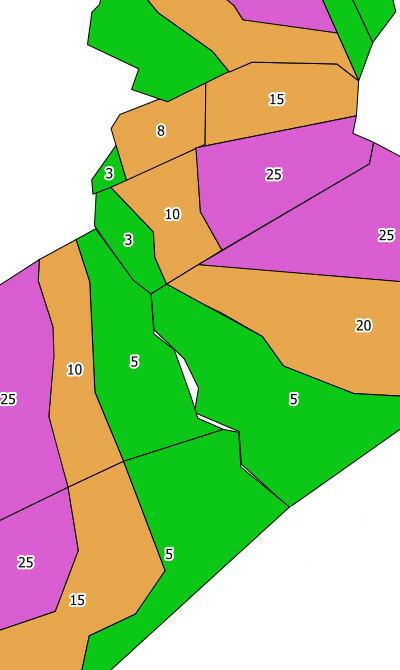 And also to identify the most likely hotspots of new infections in the following year. 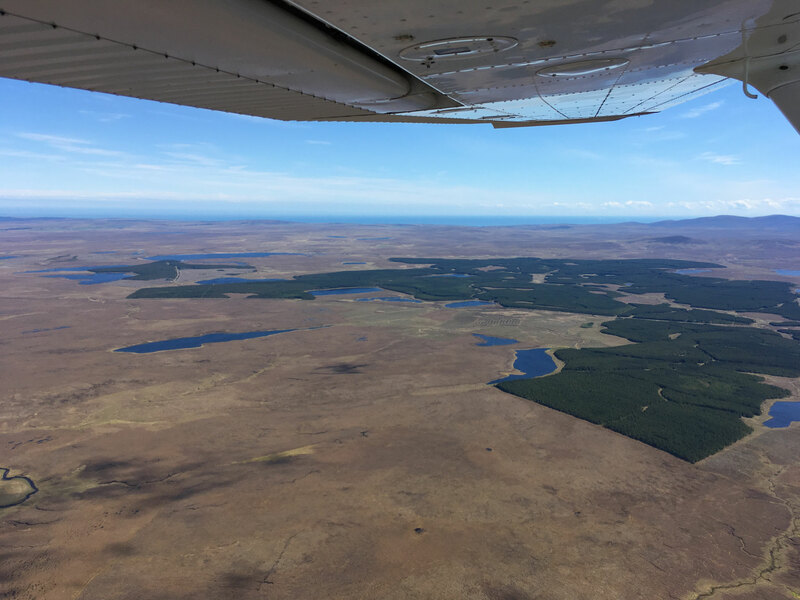 SKYLAB carried out a complete inventory and valuation assessment of a 7000ha pine plantation in Northern Argentina for a European Investment Fund, in collaboration with specialist forestry advisory TSS Forstplanung. The data acquisition was carried out by light weight plane Lidar and hi-res photography. 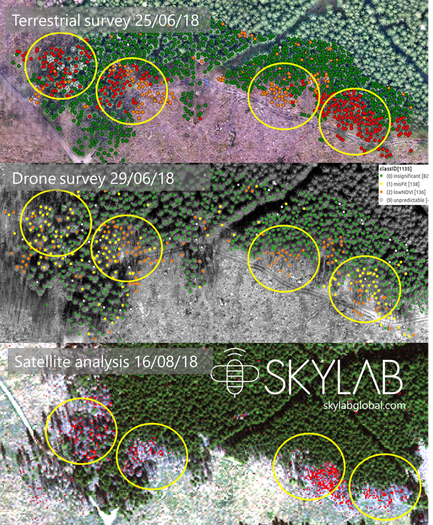 SKYLAB applied its highly specialised tree detection and 3D mapping skills, combined with TSS terrestrial sampling and valuation expertise to provide a full inventory within less than six weeks. 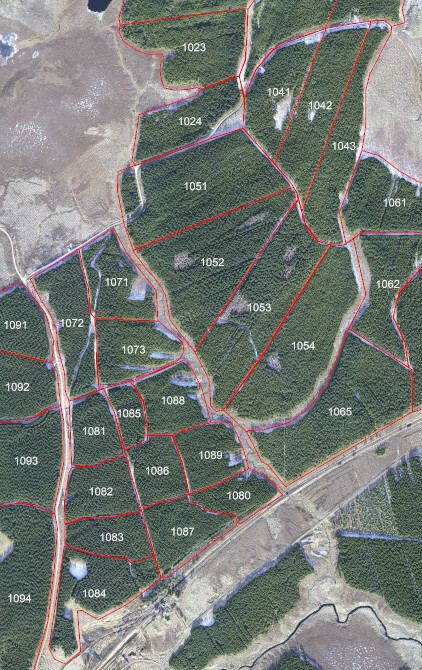 AQUILA CAPITAL is the first institutional investor in Scotland to apply the SKYLAB forest inventory method on a 2000ha plantation, delivering a full inventory, species composition, timber stock and new compartment boundaries for harvest planning. All within a matter of weeks and without the need for any terrestrial sampling. An institutional investor needed a fast and precise assessment of a mixed pine and spruce forest to decide on its bidding for the acquisition process. SKYLAB's methodology provided a full inventory and clearly showed the strengths and weaknesses of the forest asset in all its detail per sub-compartment. 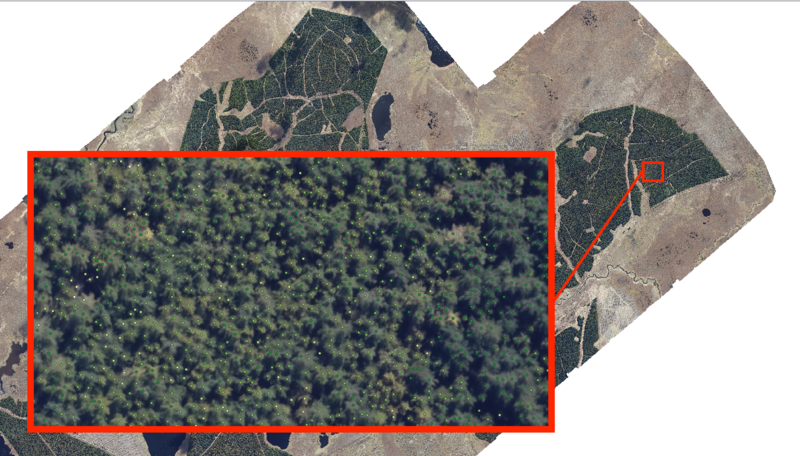 Drone based data to carry out 10-year inventory on private, multi-aged pine forest (500ha) in Brandenburg. 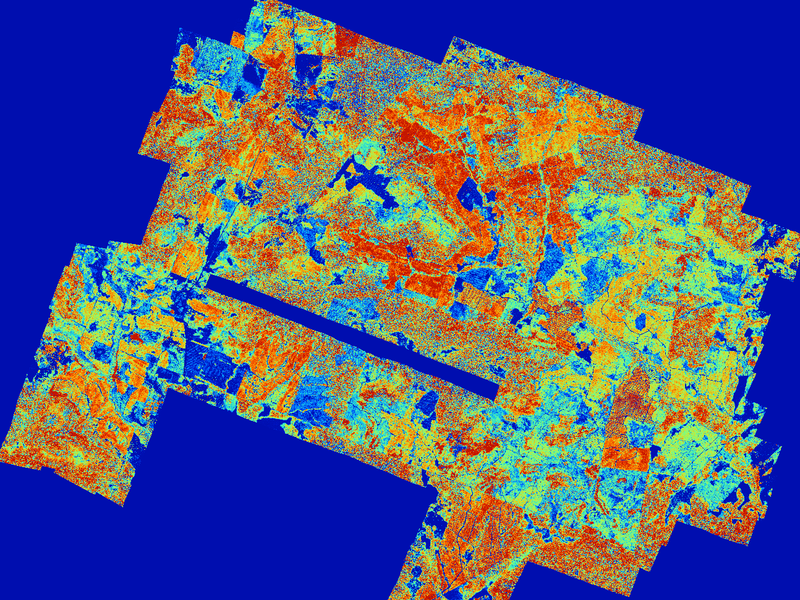 SKYLAB method delivered hi-res orthomosaic, tree height model, tree count and height per compartment to significantly reduce terrestrial sampling. 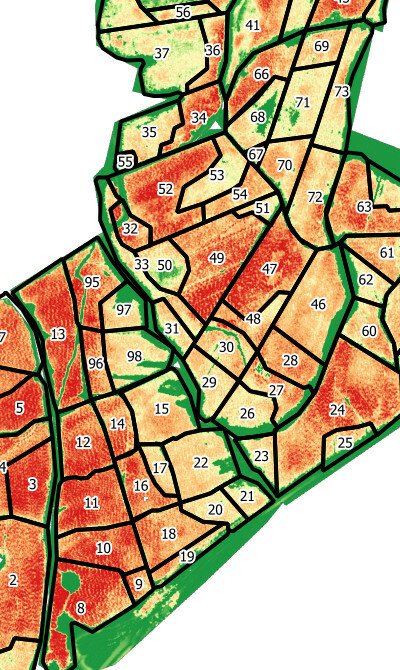 The comprehensive, high precision data provide basis for reshaping into more efficient management areas. 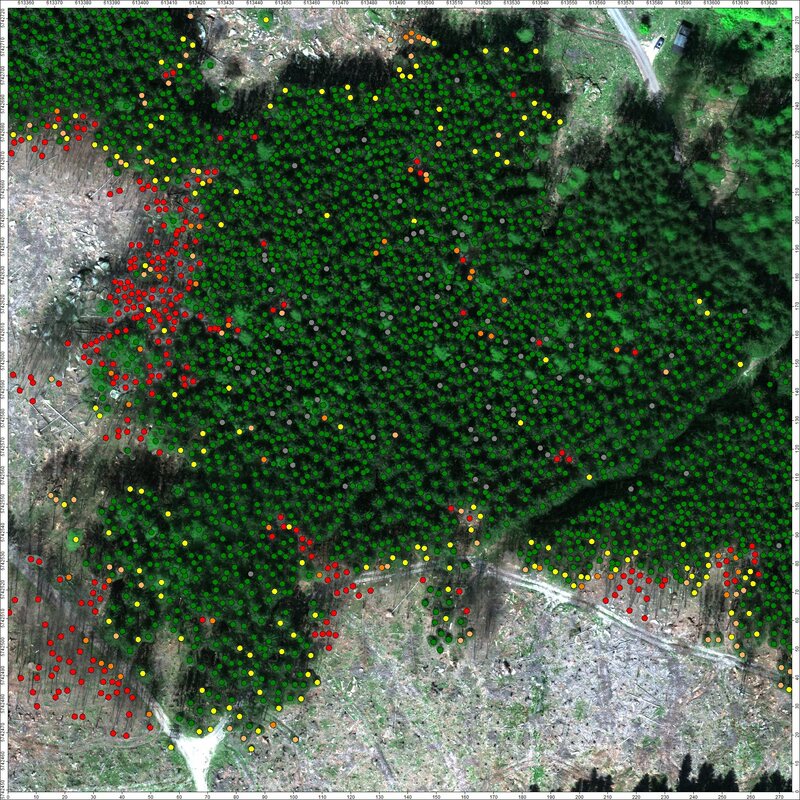 High resolution multispectral data from World View satellites were used, applying pixel unmixing analysis to derive a detailed map of the species mix between Sitka Spruce and Lodgepole Pine over a large scale forest plantation. Overlaying this result with a detailed Tree Height Model (THM) the height and yield distribution per species can be derived. 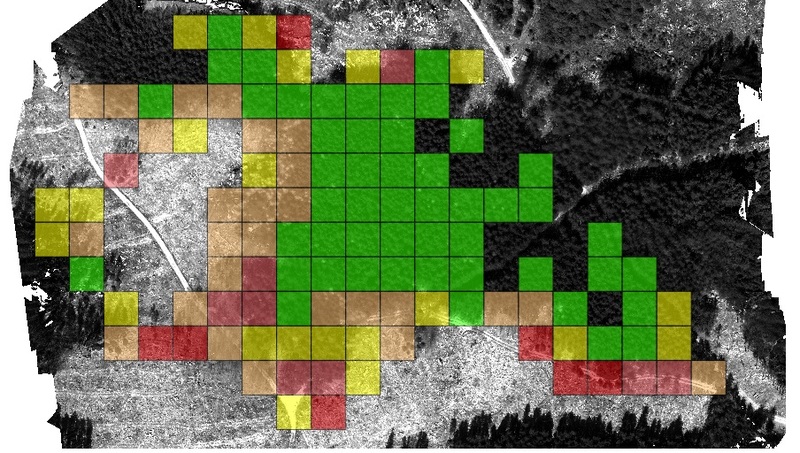 Development of a methodology to reliably detect the infection of spruce forest stands with bark beetle (Ips typographus) using multispectral imaging, plant vitality indices, 3D modelling and multivariant statistical analysis. Our joint project with Nordwestdeutsche Forstliche Versuchsanstalt (NWFVA) is now in its second year to improve the good results achieved in 2017. 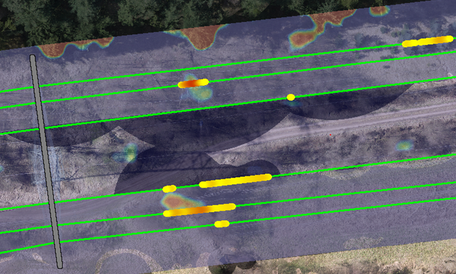 Vegetation mapping and risk zoning along a 400kV powerline. 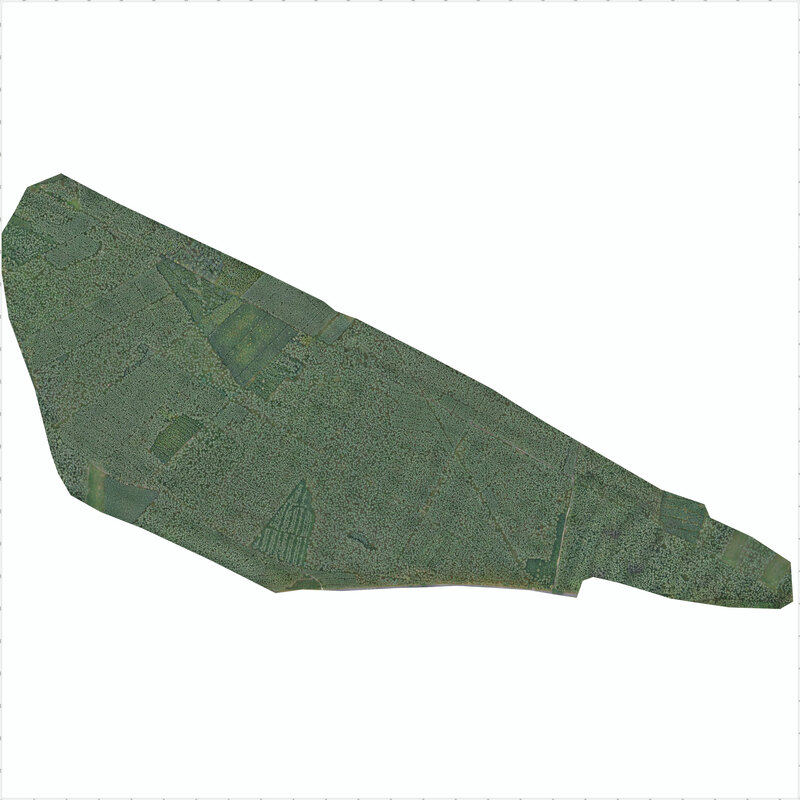 A fixed wing drone was used to collect hi-res photogrammetric data to generate an orthomosaic and 3D models. 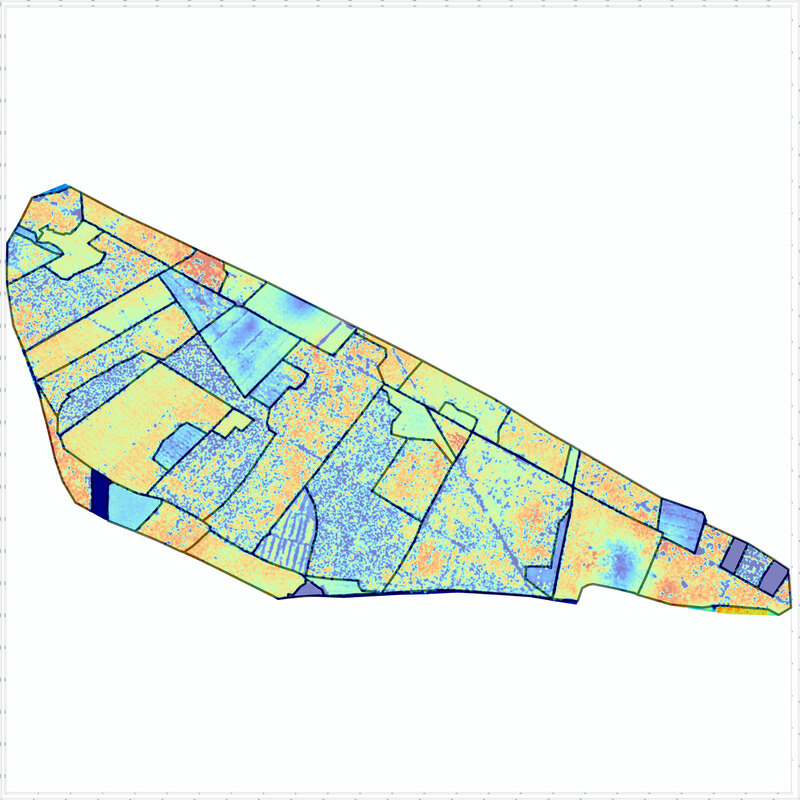 Using SKYLAB's forest algorithms, a detailed Digital Terrain Model (DTM), Digital Surface Model (DSM) and most importantly a precise Tree Height Model (THM) were generated. 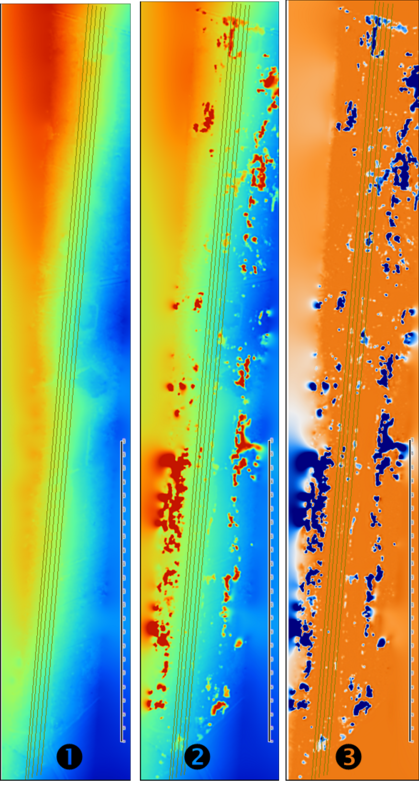 Next the vertical and horizontal distances of any significant vegetation to the powerlines can be measured and shown in a risk or heat map. By defining the critical parameters, priority calls for action on the ground can be derived from this model. Fly your own drone, use a service provider or ask SKYLAB for flight services to collect your drone data. 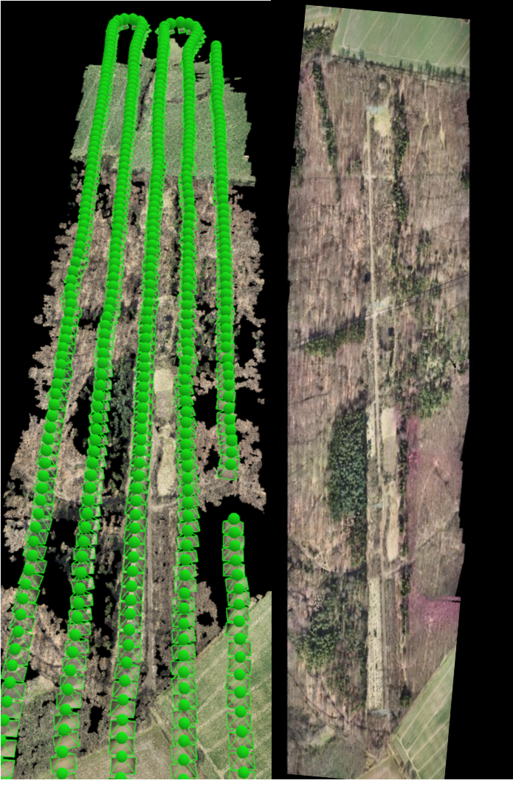 SKYLAB drones can capture up to 1000ha or 150km per day in high resolution imagery with less than 2cm ground resolution. 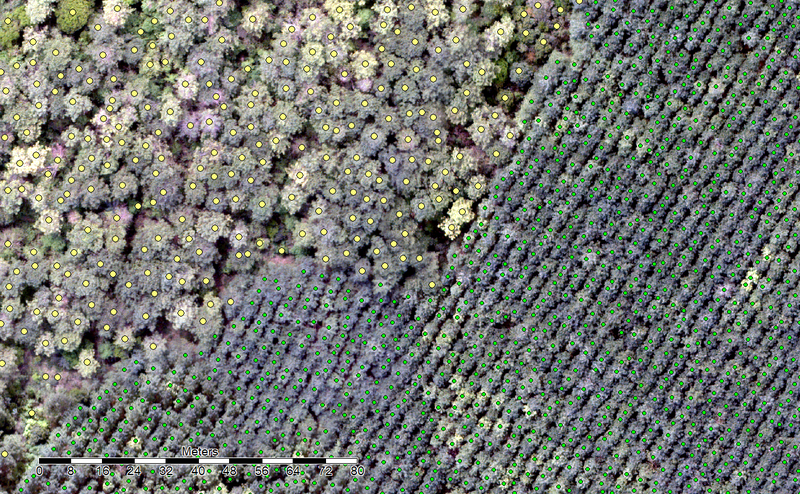 In addition we capture multispectral images to calculate plant vitality and stress indices or to determine species distribution. 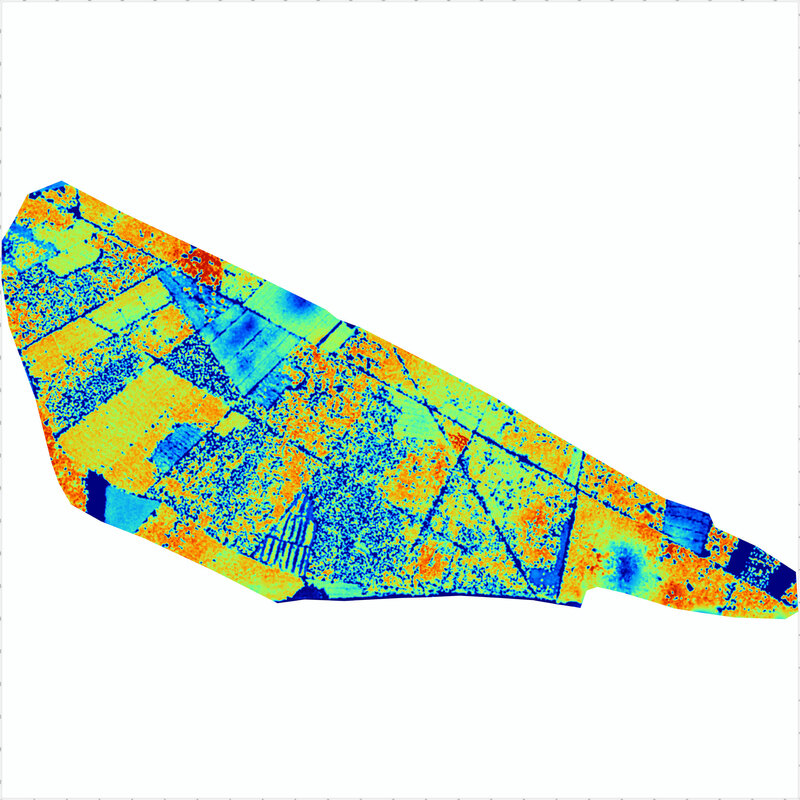 Of course we can also work with your plane or satellite data - beware that these are bound to have lower resolution impacting on the precision of the results. Upload your data to SKYLAB servers and tell us about your goals for the data analsyis. Full forest inventory or just an orthomosaic with tree count? Simple stress index map or a fully fledged bark beetle infection analysis? 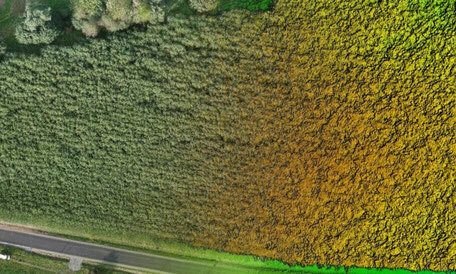 Just a 3D Pointcloud of your power line or rail track or with full vegetation and risk mapping? Select your desired parameters for high quality processing and we will quality check and process your data with short response times and recommendations for future quality improvements on the raw data. Our algorithms carry out the analysis of your raw data to provide you with the desired, high quality output. Resulting maps and data are made available via the SKYLAB Tileserver in GeoTIFF tiles as well as vectorized datafiles for easy integration into your GIS tools. You can also view the results on your mobile device anywhere in the field. We are happy to help you make the most of the results by assisting you with the integration into your management system as well as with the further interpretation of the results to achieve your desired objective. Flight Services and Hardware Systems. 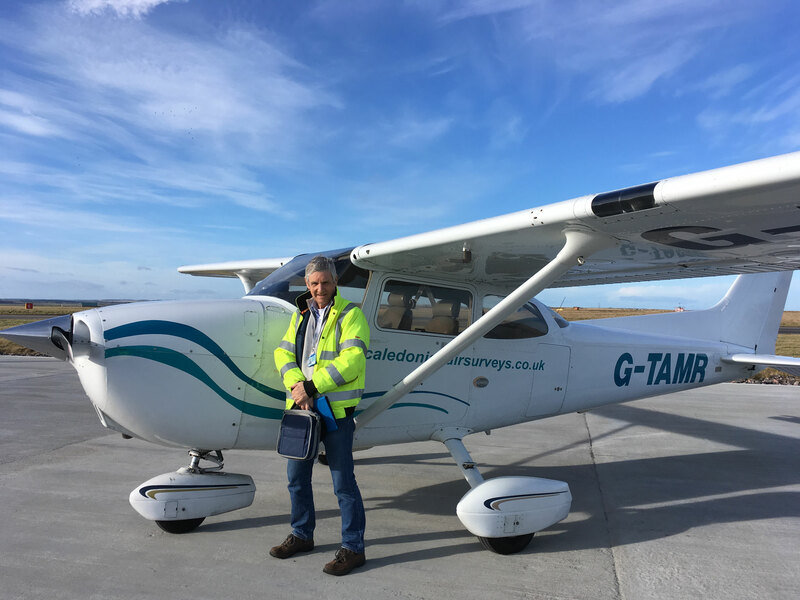 Chose your mode of aerial data collection, be it satellite, plane or drone. Our SKYLAB algorithms work well with each of these data sources. SKYLAB drone flight services are provided by COOPER COPTER with a depth of professional drone experience since 2010. 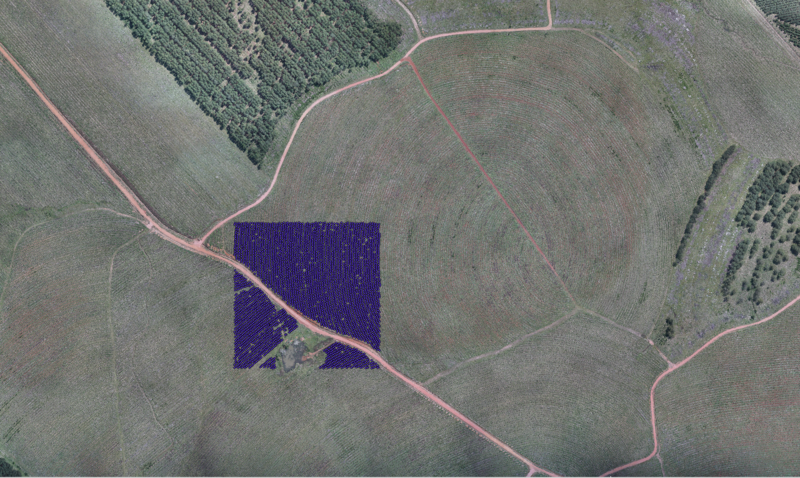 The flight missions can cover up to 1000ha area or 150km distance per day. 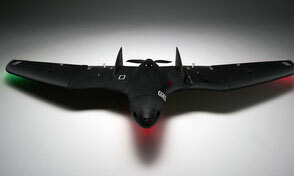 The fixed wing drone BLACKBIRD has a wingspan of 2m and flies up to 1 hour with one battery pack. On board is a high resolution RGB camera with up to 42 MP delivering a ground pixel resolution of approximately 1cm at 100m flight altitude. Also on board is a Sequoia multispectral camera or a Micasense Red Edge for agriculture and forestry mapping and disease monitoring. We can also integrate further specialty sensors, for example an infrared camera. So we can capture a mulitude of data over a large area in one flight. 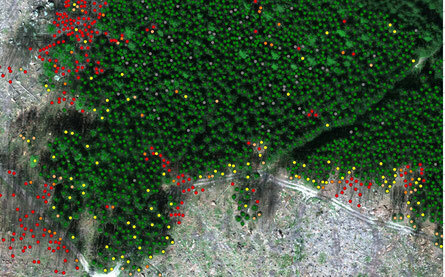 SKYLAB analyses aerial images and calculate important forestry metrics - fast, precise, efficient and comprehensive. Hundreds or thousands of pictures will be stitched to derive an Orthomosaic giving you a ground resolution of just 2 cm per pixel. 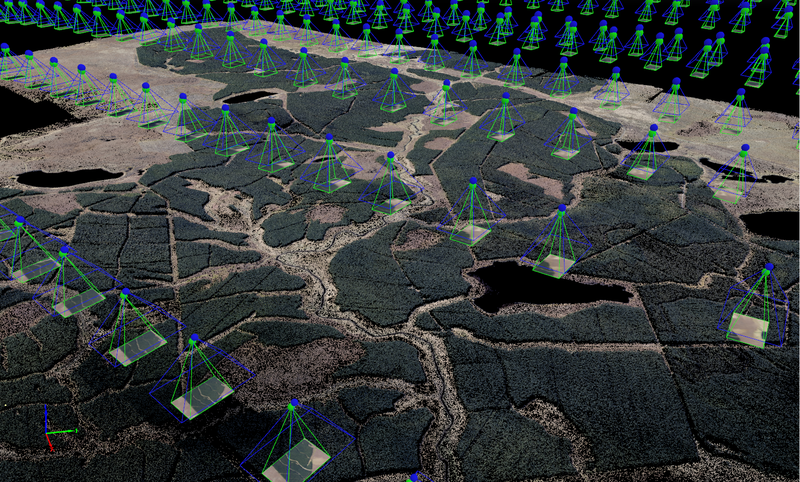 A 3D pointcloud forms the basis for digitial terrain and surface models. 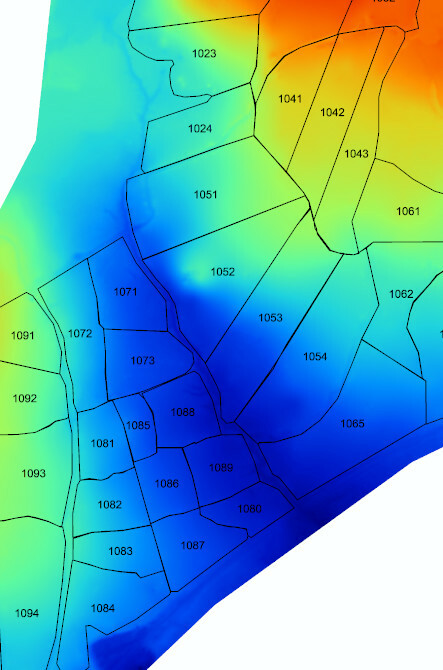 Our algorithms then calculate individual and mean tree heights, tree count, crown projection area and more. 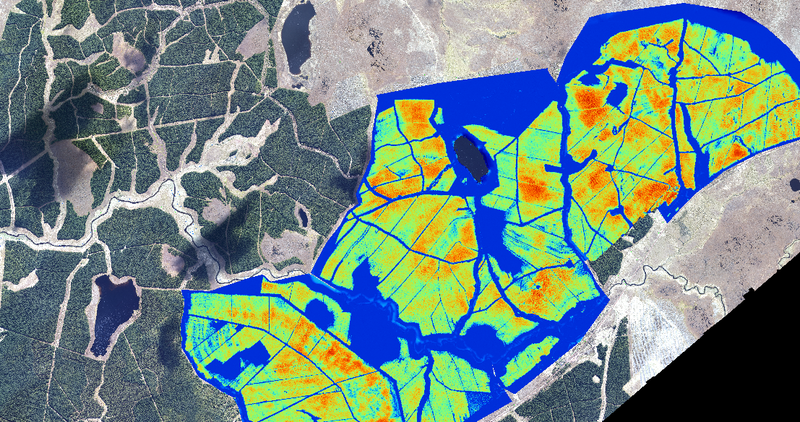 Height and species distribution patterns are used for a segmentation and reshaping of the individual management areas for optimal operations and harvesting. Of course the resulting data can also be applied to calculate the carbon or CO2 equivalent stored in the forest in relation to climate change protection projects such as REDD or CDM. 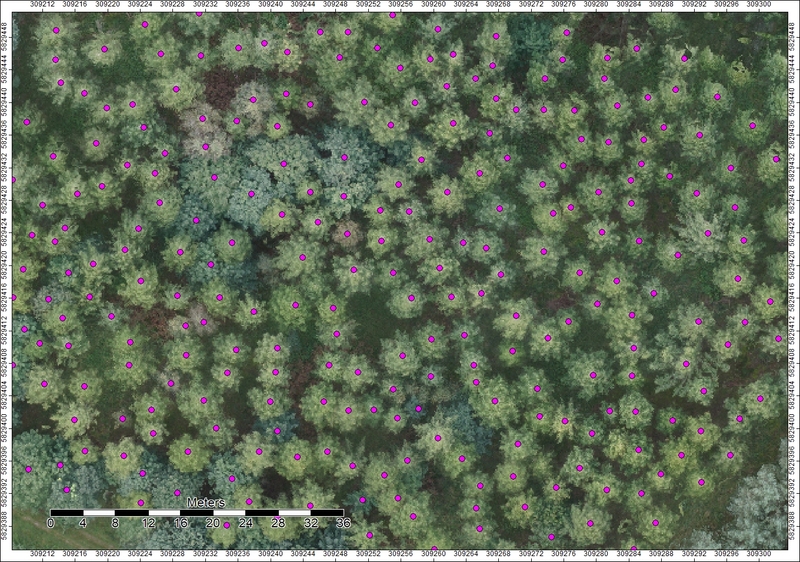 We digitalise your forest and provide you with comprehensive, cost efficient and precise georeferenced data from individual tree to your overall asset. 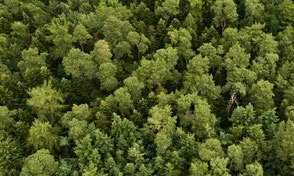 To facilitate your daily management, your forest inventory, infrastructure planning and conservation efforts. 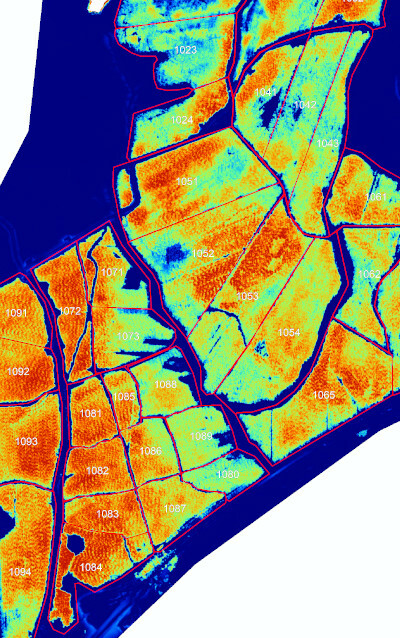 Using multispectral sensor data we calculate a range of plant vitality and stress indices to differentiate healthy from stressed or infected vegetation. Bark beetle infestations are causing billions of Euros in damage around the world every year in terms of timber value loss as well as labour costs for continuous searching efforts during the peak beetle season. Not only is this manual search very labour intensive, it also relies on luck as much as on skills to be in the right place at the right time to detect an infection hot spot. The economic success of wood plantations of eucalyptus or short rotation coppice plantations of poplar and willow depends largely on market prices as well as the optimisation of biomass clumination and harvesting costs. The growth rates vary greatly depending on climate, soil and several other factors. So the trick is to determine the optimal combination of biomass culmination and harvesting costs. This is best achieved through regular monitoring. Asset management of high voltage transmission grids or gas pipelines require regular inspections to maintain integrity and safety. Regular Right of Way (ROW) and vegetation encroachment inspections by helicopter are expensive and sometimes dangerous. 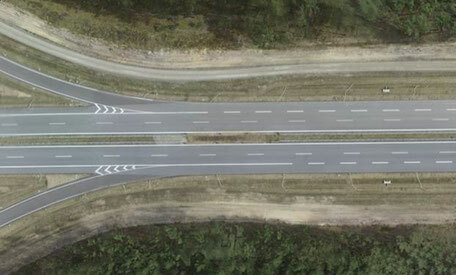 Drones can efficiently take over most of the non-emergency inspection work while delivering precisely georeferenced video and photo data much closer to the asset than a helicopter can. Rail tracks and motorways require regular monitoring and management. Vegetation encroachment is a major hazard for rail tracks, especially concerning the overhead lines. Motorway slopes, ditches and railings as well as neighbouring vegetation needs to be inspected and regularly managed. 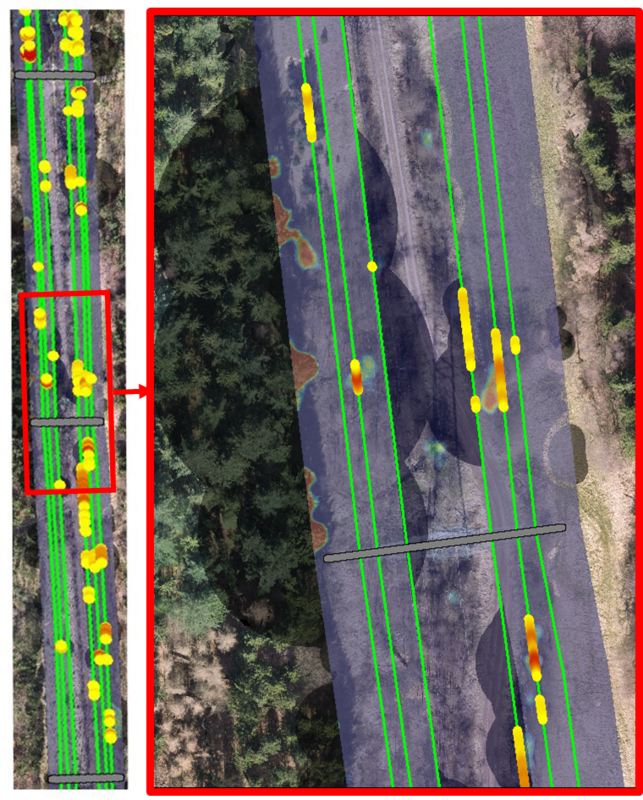 Automated drone missions, supported by satellite data processed with SKYLAB algorithms can provide a highly cost efficient and precise analysis. This will enable you to optimise the management of your asset and reduce on the ground intervention costs. 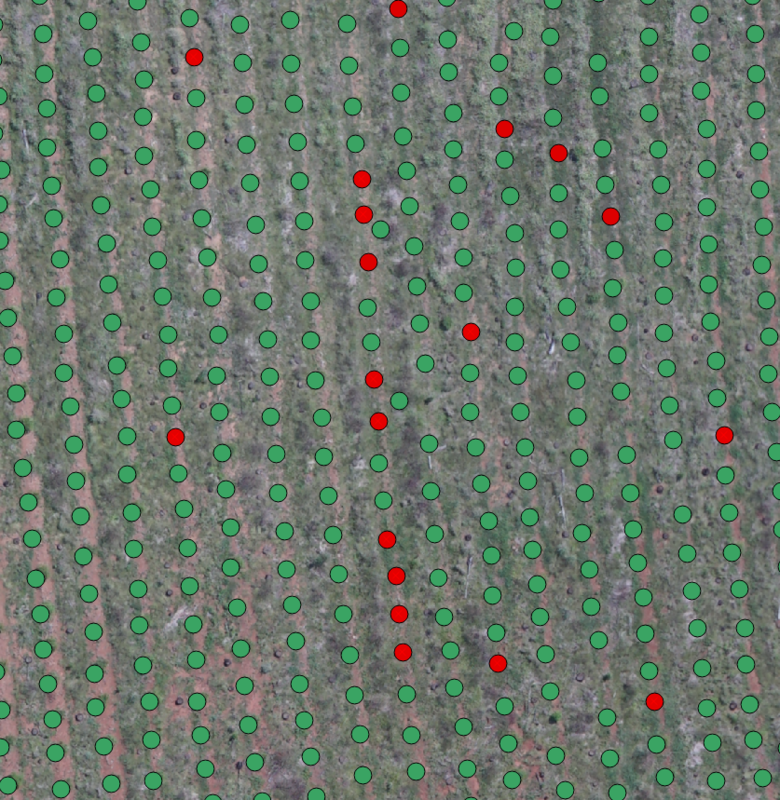 Precision agriculture means that machines for planting, fertilisation and harvesting work with a precision of within a few centimeters. But how precise is the data input? 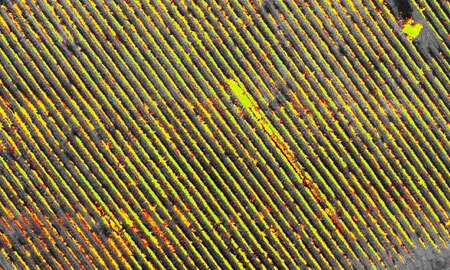 Satellites and drones can provide highly accurate data which allow the farmer to take better informed management decisions. 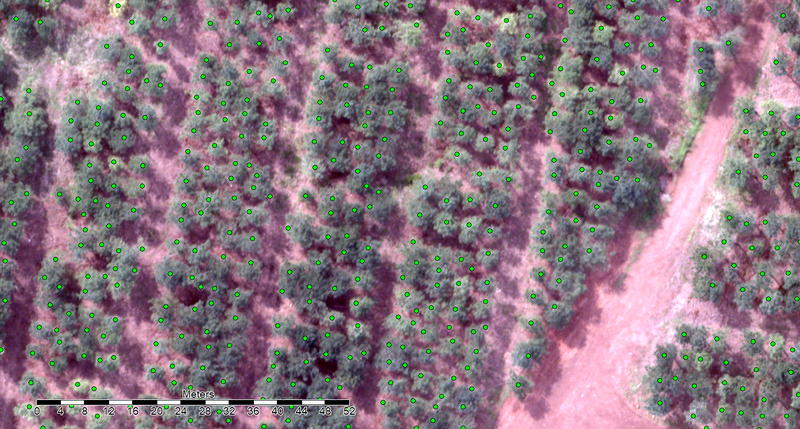 For example, a simple Orthophoto already shows very detailed variations in growth patterns and biomass on the ground. 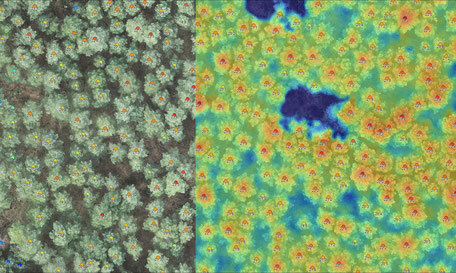 Multispectral analysis provides highly differentiated data on plant vitality or stress indicators. All this helps to optimise fertiliser and pesticide applications to maximise yield and minimise their environmental impact. Meet our enthusiastic team of top level Forestry Scientists, Biologists, Project Managers, IT Experts and Geomatics Engineers. If you have any thoughts on how to improve our products or if you are interested in joining our team, we would love to hear from you! GIS Expert and Project Manager. Chief Analyst and Project Manager. Geomatic Engineer. Photogrammetry & Methodologies. Forest IT Engineer. Data Scientist.